Saturday's Cobbs Creek 5K race was amazing! We were fortunate to capture the only period of beautiful weather of the weekend. The race had a bigger turnout then we expected, including a contingent of around 20 WPRs! We ended up winning 2nd and 3rd Men's, 1st and 3rd Women's, and 1st place Master's. Not bad for a drinking club. We have some great stuff coming up! Friday, April 27. Out and Back Party Run. 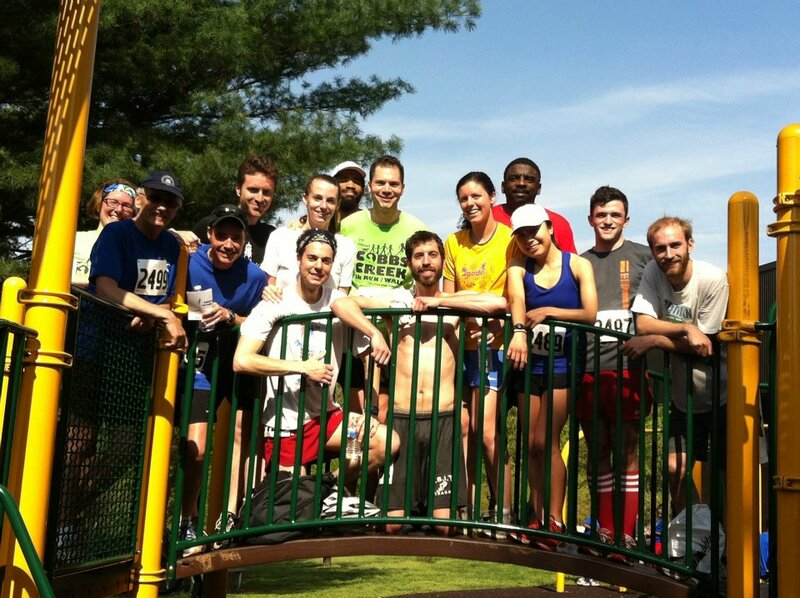 Just like the name describes, this fun run is basically a happy hour event disguised as a run. Sounds like a huge, stinking, and super-fun party to me. On-line registration is closed and day-of registration is going to be limited. Sunday, May 6. Broad Street Run & After-Party. Since so many West Philly Runners were signed up for the BSR, I decided that it only made sense to have a post-race party. Ben, Julia, Alon, and Ruby Sportdog are hosting at 63 N. Wiota Street, about a block from the 40th Street El station. You don't have to bring anything, but your smelly self. Thursdays in May. Wissahickon Wanderers Spring Trail Race Series. The distances range generally from three to five miles through the woods of the Wissahickon and along Forbidden Drive. Meet at Valley Forge Inn at 6:30pm sharp.